Ricordi manufactured this beautiful puzzle in 1995. 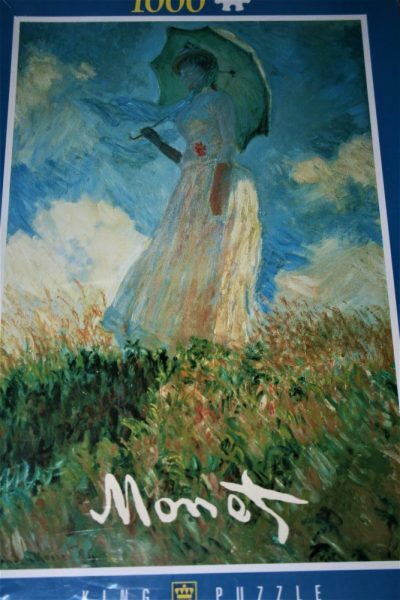 The title is Irises in Monet’s Garden, by Claude Monet. 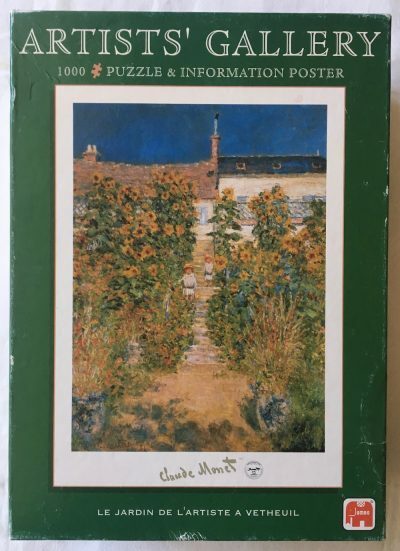 The title in the box, however, is Le Jardin du Monet, or Monet’s Garden. Puzzle size: 58.8 x 83.2 cm. Box size: 37 x 27 x 8.5 cm.